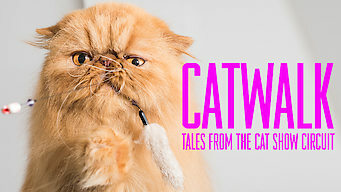 How to watch Catwalk: Tales from the Cat Show Circuit (2018) on Netflix Netherlands! Yes, Catwalk: Tales from the Cat Show Circuit is now available on Dutch Netflix. It arrived for online streaming on January 7, 2019. We'll keep checking Netflix Netherlands for Catwalk: Tales from the Cat Show Circuit, and this page will be updated with any changes. This fun, charming documentary follows the exploits of some very feline-friendly folks as they strive to get their kitties crowned Canada’s top cat. Every dog has his day -- but what about cats? Get ready to explore Canada's fascinating cat-loving subculture.